Howd & Ludorf, LLC’s Workers’ Compensation practice group works closely with insurers, employers, self-insureds and uninsured employers utilizing a team philosophy to secure optimal and efficient results. The firm handles all aspects of workers’ compensation and heart and hypertension claims, including informal, pre-formal and formal hearings, as well as appeals to the CRB and the Connecticut Appellate and Supreme Courts. We also defend 31-290a wrongful termination claims and pursue reimbursement from third parties in accordance with C.G.S. Section 31-293. Our attorneys appear in every Workers’ Compensation District in the State of Connecticut. We keep insurers and employers abreast of emerging case law and provide advice and training to reduce overall workers’ compensation risk and exposure. Our Workers’ Compensation practice group leader, Colette Griffin, is a Board Certified Workers’ Compensation specialist. 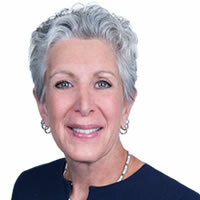 Colette is also the Vice-Chair of the Executive Board of the Workers’ Compensation Section of the Connecticut Bar Association, an integral role in the workers’ compensation bar. Decades of experience allow us to provide consistent, client-focused, and cost effective representation in workers’ compensation matters throughout the State of Connecticut.